The Yellow Cape Cod: My Powder Room Makeover Reveal~And a Giveaway! My Powder Room Makeover Reveal~And a Giveaway! 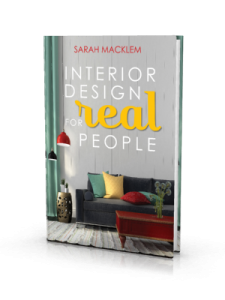 Before sharing today's exciting makeover reveal, I wanted to announce that my E-Book "DIY Interior Design For Real People" is currently available in a gigantic bundle of 76+ DIY related E-books ($34.95 for the complete bundle) for the next five days only. Please click here for details. 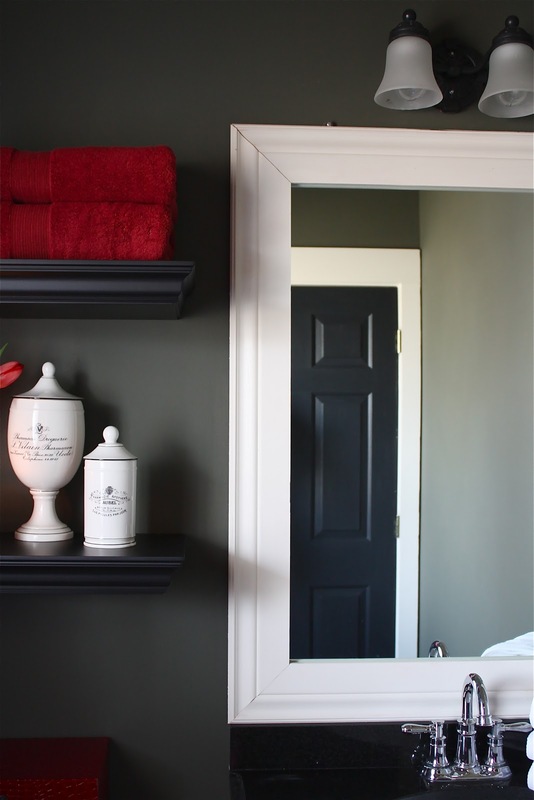 The other day, I shared my plans to make over my red powder room using the Sherwin-Williams Color Visualizer tool. I mentioned that I had my color options for the new space narrowed down to three; Garden Gate, Cast Iron and Connected Gray. Using the Color Visualizer, I was able to test the colors and picture the space before actually painting. Are you ready to see which color I chose? After consulting with my BFFs at my local Sherwin-Williams, I decided to use the HGTV® HOME by Sherwin-Williams brand paint in a flat finish for the walls. The color I chose is "Garden Gate". Using a neutral wall color allows me to change the look of my bathroom by simply switching out the accessories. Even though this color is neutral, it certainly isn't boring. The deep tone provides a dramatic backdrop for accessories. I chose to use red as the accent color for now. By changing out the towels and my new discreet TP holder, I can change the color palette with the seasons. I can already picture "Garden Gate" with yellow, orange, green, teal, fucshia…the options are endless. 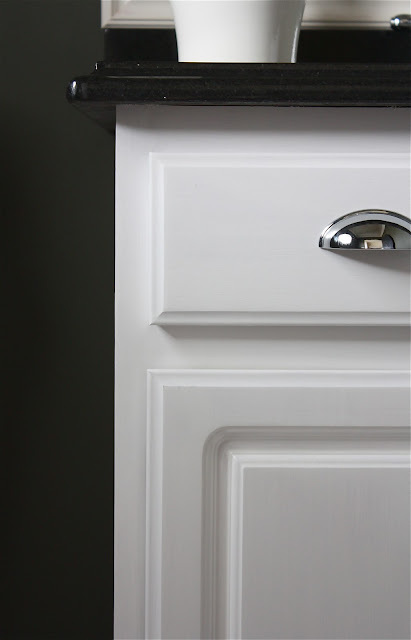 The trim and cabinetry were freshened up with a coat of "Dover White" in satin finish. Warm white applied to the trim provides amazing contrast to the deep wall color. The vanity was originally a medium toned wood finish that was sanded, primed and painted a few years ago. Giving it a fresh coat of paint made it look brand new again. What I love most about the new wall color is the way the oval window pops against the dark gray background. That oval window captured my heart the day we first looked at this house 8 years ago. It may actually have sold me on it. Using the Color Visualizer tool, I could see how "Garden Gate" would really highlight this feature. And I was right, the cute window no longer competes with the red wall color for attention. Another small detail that I am really excited about is the new spot for a real, lit candle. Up until now, I have not been able to light a candle safely in this space while entertaining. Floating shelves were installed over the toilet for additional storage. 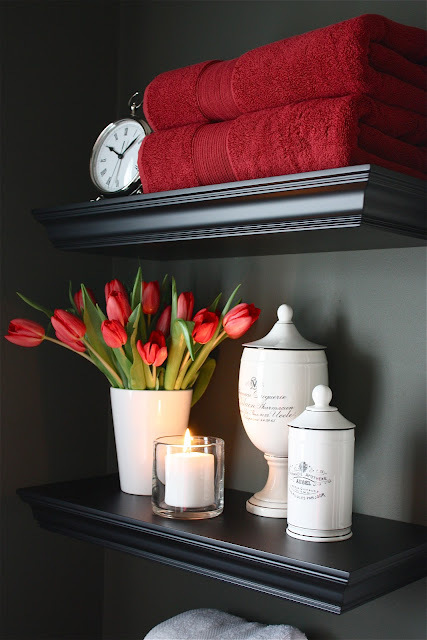 Filled with bathroom necessities and a few pretty things, it doubles as a welcoming display. Using the Color Visualizer was fun and easy. I'm really happy with the way the new powder room turned out. The improvement was confirmed when my son saw it and asked me if he "could use it". For a chance to win a $100 Sherwin-Williams gift card, share in the comments below what room you would like to makeover in your home? This sweepstakes runs from 5/20/2013-6/10/2013. 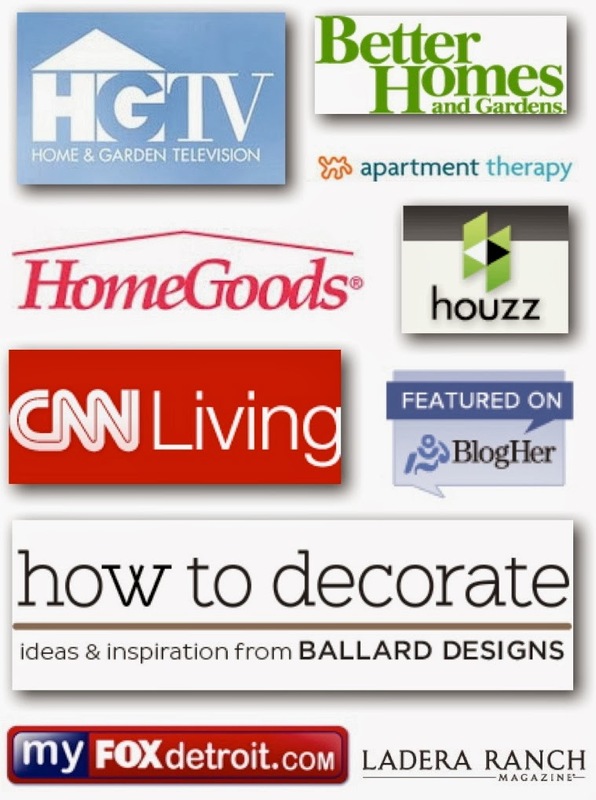 For information on my affordable online design service, please click here. I would like to makeover our bathroom! We have a ventilation issue we need to rip out the walls and put a new jacuzzi tub and vanity in, and you inspired us with a neutral color/changing out accessories. I am thinking navy blue for the wall color a shade of blue. Thank you! I would like to make over our bathroom! You inspired us with the neutral color we are thinking a shade of navy blue. We are using an old piece of furniture redoing it as a vanity, and making mirrors out of our large mirror cutting it up and framing it with crown molding. I love your blog you are inspirational. I've already completed the make bunk beds into a daybed! We are still looking for our first house but we know we will probably end up having to paint every room which we are very excited about! I can't wait to decorate and figure out paint colors with my husband! I would love to win a living room makeover (hence, old carport). It is awkward and hard to imagine any new ways to redo furniture and paint scheme. I just know and love Sherwin-Williams and Sarah Machelm are the only beam out of my carport-a-living space!! I would love to win this makeover by Sarah and Sherwin-Williams for my living room, which is a converted carport. It is so difficult for me to imagine a theme/color pallet or how to design/decorate this odd shaped space. Please SW/Sarah beam out of my carport-a-living space!! I would love to make over my foyer! Id love to redo the kids bathroom, I have a boy and girl so I have to choose colors and decor for them both, which is the biggest challenge. Your powder room looks amazing, so classy and chic! I really need to repaint my living room, when we moved in it was and still is white, I'd like to warm it up a little bit. White walls and kids don't mix! I am in the process of buying a condo. I expect to paint the condo right thru with a light grey color. That is STUNNING!!! I would redo my living room. So far, its the only room in the house that I haven't painted in the last year. I would love to makeover my whole home, it's beautiful but neutral. But if I was to start with one it would be my living room. It's home base and although it's nice the potential is probably limitless. I love everything about this powder room, especailly the paint color! You done a fantastic job. I would love to give my bathroom a makeover! Love it! Garden Gate was the perfect choice! My next home project is our master bedroom! I would like to makeover MANY rooms in my house, but I think the first in line is our bathroom. It has very dated shiny gold fixtures and accessories. Yuck !! Looks so great, Sarah!! I love that gray -- I'll have to remember it for sure! We went pretty bold with our SW makeover, too! I'd redo our powder room as well. It is one of 4 rooms we have yet to do since moved in 2 years ago! I really want to tackle my daughters' room! love the garden gate color but we are needing to paint the living dinning kitchen room which runs the length of our home. Feel like more trim work then flat wall surface work. Love the color! I would love to makeover our great room!! Love the color!! I would love to take on our great room! I'd also like to re-do my powder bathroom. It gets a lot of use and could use some freshing up! 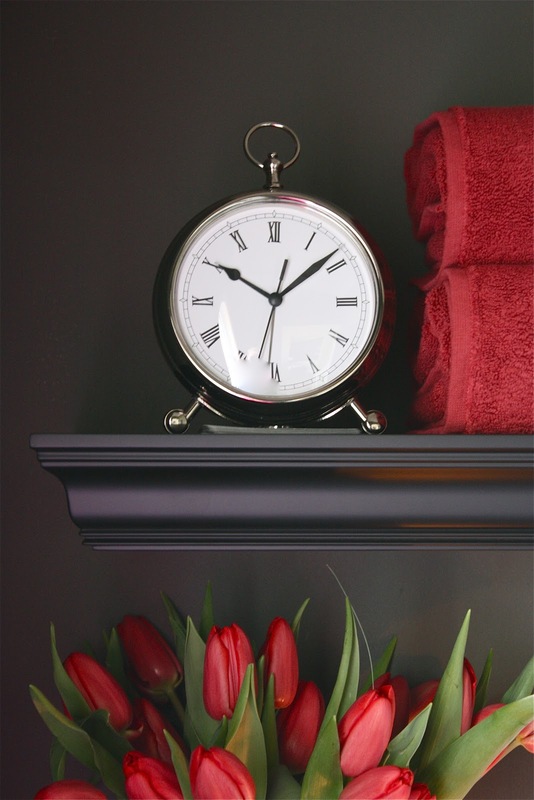 The red accents with the gray walls make a much better statement than the previous red walls! :) Nice improvement! There are several rooms I'd like to makeover, but I'd probably choose our family room. I'd like to lighten up the paint (the gift card would sure come in handy!) I'd also like to get new seating and a new coffee table. Definitely need to makeover our master bedroom - it even still has the original carpeting which is 25 years old! 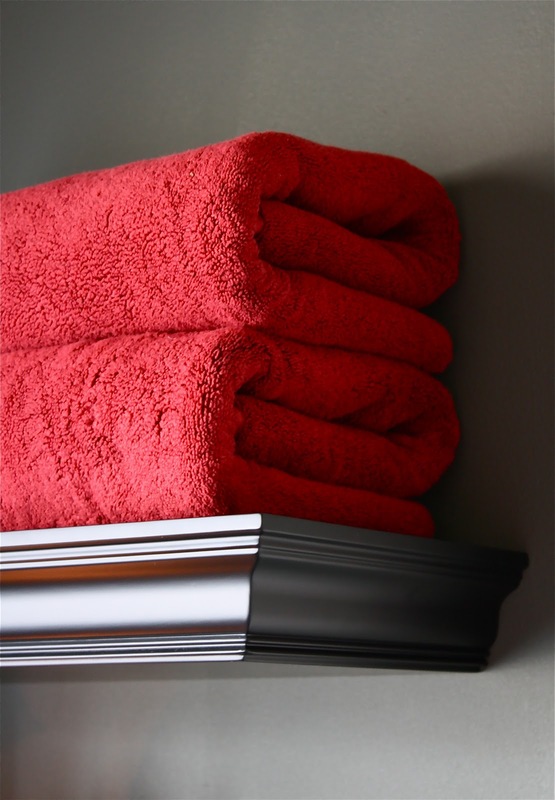 I love the red accents in your bathroom. I'm in a builder beige home, so the whole house needs attention, but I think starting with my smallest bathroom would be a good beginning. Wow! I love the transformation! I thought the bathroom was cute before but the new look blows the old one away! The dark gray is fabulous! I love how the trim, the window, and the accents pop. It's so elegant yet comfortable. The addition of the floating shelves is such a great idea. The accessories you chose look great. I can picture those other accessory/accent colors too. What fun you'll have! LOVE the dark grey with the red and white accents! Looks great. We need to redo almost every room in our house (just moved in in January), but next is hopefully the family room! Beautiful bathroom Sarah~I love following your blog! My master bedroom will be my next project, you've inspired me so much !! The most pressing room in my house that needs a makeover is the Master Bedroom - it's very large but painted a depressing neutral color. I think the dark gray color would look amazing in my room! My master bedroom is still the builder's off-white color - I want to change it so badly, but we can never seem to pick a color we agree on. I've wanted something deep and dark, but my husband leans toward something more mid-beige. Maybe your powder room will help to convince him! I love this room. Gray, red and white is one of my favorite color combos. Great job. I love your bathroom! If I had to re-do a room in my house it would be my bathroom as well. The bathroom is not only the bathroom that the kids use, but it is the guest bathroom too. I need to redesign it so that it can serve both purposes. I'd Love to update my builder beige bedroom! It's one of the last spaces in our home to be given our personal touch! I love the color. Beautiful makeover. My sewing/craft room is in desperate need of a color makeover. Love love love your new bathroom look. I also need to update my bathroom. We need to make over our family room. It has (wait for it...) paneling! Horrid paneling! It is a very knotty, grooved kind that I probably should not paint. I can't wait to take it down and burn it, I mean, dispose of it properly. Love love love your powder room redo. My next project is also the bathroom. I love the red accent! I'm too chicken to use red, but love it so much maybe I need to rethink that! If I were to win the Sherwin Williams gift card...I have a WHOLE HOUSE to do! But probably the most annoying right now is I'm sick of my great room. That would be a great start for a new color! i need to redo my bedroom, it was the first room to get paint 12 yrs ago, and it shows! LOVE it, Sarah! I especially love the floating shelves to store towels! Where did you get them and how deep are they? With a gift card, I would repaint my laundry room. Thanks for the continued inspiration! I would love to makeover our master bedroom. I would redo (for the 3rd time), my accent wall in my living room. Well now I am inspired to redo my bathroom! This is stunning! Thanks! The bathroom, of course! This is stunning! I would love to redo not a room exactly, but my front door and entry porch. I have been trying to decide on colors-it would be wonderful to win this! I would like to redo do my family room. I would like to redo my family room. My bathroom is in dire need of a makeover. I would love to paint it a shade of gray. My small bathroom, 'cause it's the room that all of my guests see! My vaulted living room...it's going to need a lot of paint! My vaulted living room...it's going to take a lot of paint! I would like to make over the kitchen in the house we are about to move into. There is so much to think about moving into a new place. Where do I start with a limited budget? if I start with a cheery kitchen I feel like I can move outward from there. I would love to makeover my bedroom! Thank you so much for offering such a wonderful giveaway. I would love to make over our tiny living room...it is so dark and drab. Oh my, I'm afraid after 15 years, our whole house needs a do-over. I am so sick of beige, & would like to do gray. We will be getting it ready to sell soon, since we are empty nesters now, and are looking to downsize. I absolutely love the Garden Gate color in s powder room. Go for drama! I would like to makeover our laundry room and craft room. My spare room is sporting some wood paneling with an accent wall of lovely 80's floral basket wallpaper. That paneling is telling me it needs to be white. Plus, my son really needs his own space. I need to get that room cleaned out (ick) and start painting! This would be extremely helpful to win! I would definitely give our main bathroom that is used by the family and guests a new makeover. It is a pea soup green color and in desperate need of a facelift. Sherwin-Wiliams paint would definitely do the trick! My master bedroom is still stuck in the 80's. It is past due for an update! Would like to makeover my living room. Want it to feel "charming." My dining room for sure! It is a tan right now, and I am crazy about gray/black/white. We are renovating all THREE of our bathrooms and our master bedroom. It's going to take a lot of paint! Your powder room looks great! We're moving this weekend, so almost every room needs a makeover! I would love to start with my kitchen. Would love to re-do my husband's bathroom... Love your powder room. I would love to win a gift card! We need to paint our dining room! I'm getting ready to paint my daughter's room, so a SW gift card would come in handy. Love your bathroom! We've been in our home for about a year, and the former owners did a horrible job spot painting so the entire house needs to be repainted. But, our guest room is screaming pink, and it really needs to go. This gift card would be fabulous! Thanks for the opportunity. I would makeover my son's room. I love the white containers on the shelves. Where did you get them? We are working on fixing up our first home and the first on my to do list is to paint our pumpkin orange living room! Thank you for this awesome opportunity! We are finally renovating our main bathroom after twenty years. The pink laminate counter top and fiberglass tub with the hole are gone! I still need to pick out paint. I would use the gift card to find the perfect Sherwin Williams color to complement our new glass tiles. My son bought his first home and moved out so I would like to redo his old bedroom. I love the bathroom, just wondering if the color is too dark for a very small half bath! I need to make over my craft room, I just started. Thank you for the bathroom inspiration! 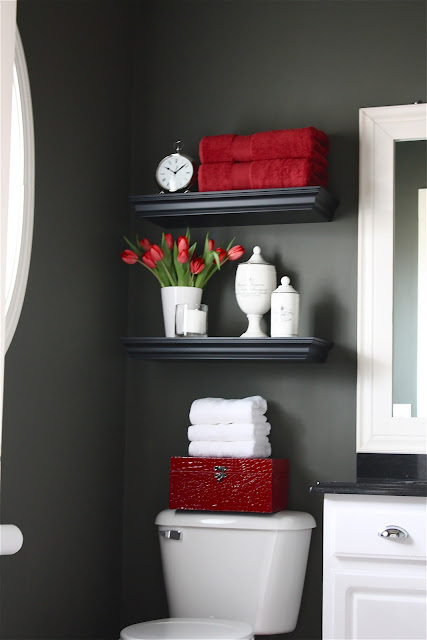 I've been needing to do something on the wall above the toilet and the floating shelves are a brilliant idea! I would LOOOOOOOOOVE to redo our bedroom, which would lead to redoing our bathroom as they are connecting by a doorway with no door. Love the color you chose. I would love to win a SW gift card. I would use it to make over my home office!! Fingers crossed! I'd like to makeover my bathroom. That's beautiful - amazing job! I'd make over my bonus room which is the last of my home projects for a complete renovation. This would be a nice start! Need to do my bedroom. I'd love to makeover our living room. I would love to redo my master bedroom en suite. The wallpaper is peeling and it's been up almost 10 years. I really need to do my powder room, my kid's bathroom, my laundry room, living room... I have so much work to do! I could use some SW paint, for sure! I'd like to start with the family room and move on from there. My kitchen definitely needs a makeover! My master bedroom could use a fresh look. We're in the midst of a 5 room reno. I'd love to have any ONE of them done! I have been looking for ideas for a small powder room. I love the dramatic colors. Beautiful! I also need a master bedroom makeover. It's been 15 years since anything was done in there. I think it's time! We're moving to a new condo soon... and redoing everything! Starting with the dining room. New lighting, crown, color, and flooring. We're moving to a new condo soon and redoing everything, starting with the dining room! I'd love to makeover my daughters room. She's not a little baby anymore, so I'd like something a little bit more kiddish looking. Something that would look good as she grows older. Oh my gosh! Your PR turned out so fantastic. I love love love the deep grey walls and the way the accents pop is so gorgeous!! I'm gearing up for a whole house make over but I'm currently working on plans for the kitchen and struggling with paint colors for walls and cabinets. The SW color generator is fantastic to work with and lets me so easily try on colors. I'd love to win this gift card to kick my project into full gear! Thanks for the opportunity! Our hall bathroom needs a more soothing color of paint. Our basement needs a makeover! Right now it's cinder-block walls and painted concrete floor. Its someday going to be a living room/play room. And may I ask where you found your floating shelves? I've been looking for some and haven't found exactly what I like yet. About to makeover my bathroom, accessories only, for now so I checked out what you had, love the shelves for display. Bathroom. I love the way you decorated and painted yours, I may just have to copy some of your decorating. I had a garage sale and was going to sell a clock just like yours. But the morning of the sale I saw your pictures and the clock was saved!! My bathroom is over due to be done. The toilet is about to fall through the floor from roted flooring. the corner shower and as you shower it reminds me of camping. I believe some camping facilities have a better shower than this. the lighting is exterior lamps. your bathroom is beautiful Sherman Williams is one of my favorite thing to work with. I would like to make the spare room into a playroom. It will be a Disney theme. I plan on painting Disney murals of Winnie the pooh. I'm actually moving into a new house at the end of the month, so I'll be making over most of my rooms :) My main focus though is going to be the living room since that's where we'll spend most of our time. The current owners have very dark furniture in there right now and white on the walls. My plan is to get a colorful rug, a few colorful chairs with fun patterns/designs, and I'll probably put a mid tone blue or gray on the walls. Can't wait to see how it looks when I'm done! I would love to makeover my dated living room. My master bedroom needs a major update! The bathroom needs a makeover! It is old fashioned and looks messy because of it. We just bought a fixer-upper so I want to redo EVERY room :) Take down all the wall paper and PAINT :) Especially excited to do our master bedroom! I love those dark colors with the bold accents! Great job! That is a powder room that would make guests smile! I would like to work on redecorating our finished attic. It has two guest bedrooms and a dull bath. I would update my 1970's style familyroom. My kitchen needs a makeover! Wow, that color really is dramatic! I would love to redo our office/reading room. I'd love to make over my bedroom! I would love to makeover my bedroom. Our master bedroom could really use a redo...or should I say a "do"? We've never really done our bedroom, it is sort of an after thought with leftover furniture and the same off white color it was when we moved in. I would love to make-over the kitchen! i would like to makeover our master bedroom! I'd like to redo my guest bedroom. It's bland and boring and not at all inviting. I'd like to makeover our dining room...needs some color! I would love to makeover my living room! I would love to makeover my study. I love the color in there, but it could use a freshenuping for sure! LOL Maybe do a different color for the ceiling would be fun! 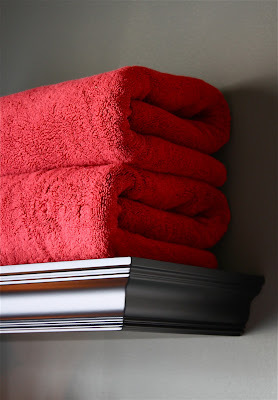 The grey and red are so lovely in the powder room! I'd use the gift card to do my powder room in wide horizontal stripes. I would love to makeover my master bedroom! I would love to makeover my master bathroom! It definitely needs some sprucing up. I really like this color! I have a lighter grey tile on my floors...only thing is this color looks amazing with WHITE trim....we have oak and do not want to change it. 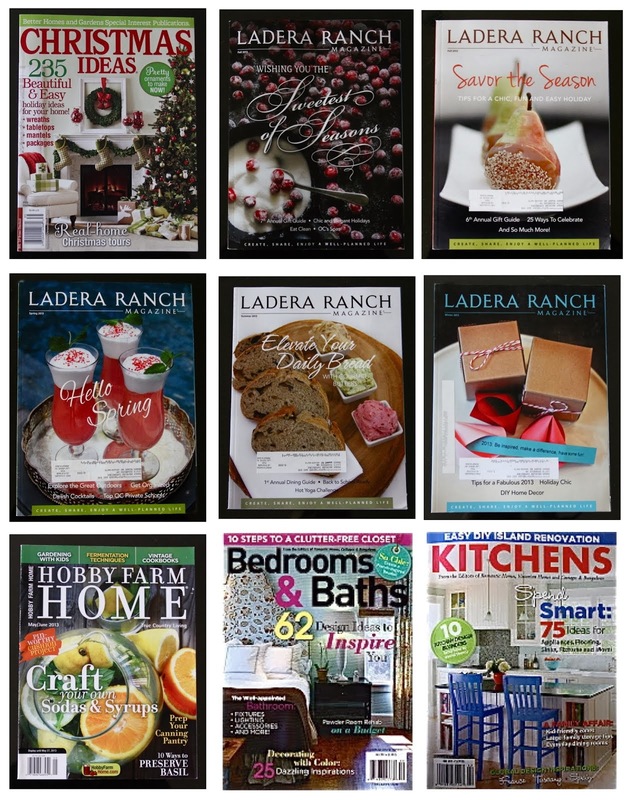 It's hard for me to find what would work because the trend and all magazines show is white woodwork. I would love to re do my kitchen...living room..dining room....They are one big open space. I have beautiful wood cabinets (quarter sawn oak) beautiful stacked slate stone backsplash and hand scraped oak flooring throughout. Just not sure how to tie everything together. I LOVE the darker color in the small space. It looks SO rich! I love your wall color Sarah! Where did you purchase your floating wall shelves? Where did you get the shelves above the toilet? The bathroom is fantastic! I'm also wondering where you purchased the shelves? My husband and I are building a new home and I love the shelves above the toilet. They would go perfectly in my small 1/2 bath. Can you please share where they're from? I would truly appreciate it. 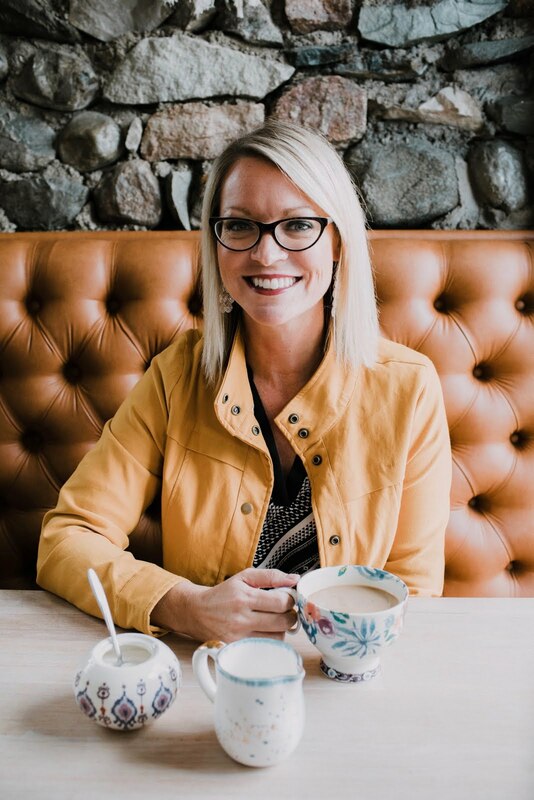 I have always been a Valspar paint lover, but after painting with Sherwin-Williams paint at my daughter's house this past weekend, I've changed my mind! Beautiful coverage! I'm redoing my bathroom in the next few months and will definitely use Sherwin-Williams!!!! Then on to the kitchen! Love it!!!!!! Where did you get the black shelves from? I want to buy similar.